We had Neill O’Connell and his friends down for a Louisiana Fishing trip the last couple of days. We always do a little combination of spin fishing and fly fishing with this crew, and this year the spin fishing was definitely better than the fly fishing. Clouds and high winds made the fly fishing tough, but it did not bother the spin fishing. Plenty of redfish and speckled trout were caught on the spin boat and the guys had a great time. 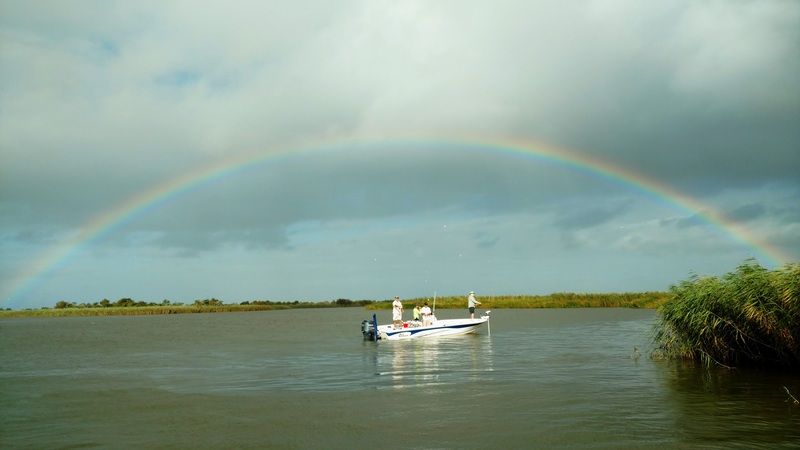 If you want to set up a spin fishing or fly fishing trip, give us a call at 504-382-2711.